Iraya has always been my favorite brand. None of their products have disappointed me till date. Recently I tried their scrubbing shower gel that is perfect for pampering and detoxifying your skin in summers. Today I am going to review Iraya Detoxifying Green Tea Scrubbing Shower Gel. 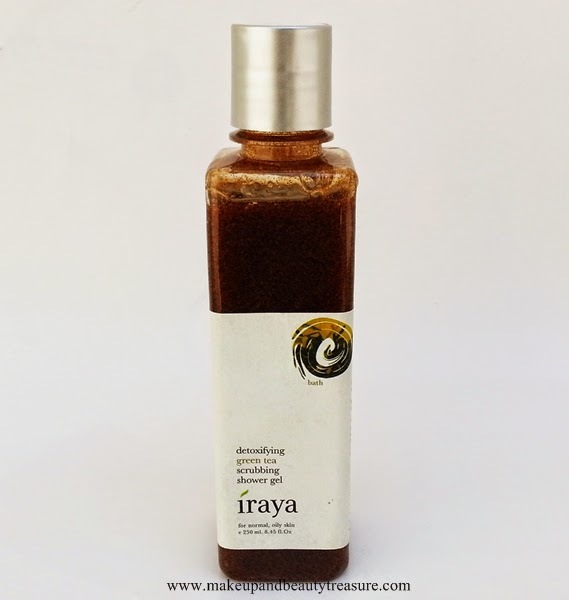 Iraya Detoxifying Green Tea Scrubbing Shower Gel comes in a long clear plastic bottle with a silver press to open cap. You just need to press one side of the lid and a small hole is revealed from where the shower gel comes out. Since it is press to open cap, I think it might not be convenient to carry it while traveling but then it does not open on its own as well. The shower gel is brown in color with flecks of green tea and walnut shell powder. It has mild scent of green tea which is nice and pleasant. The shower gel has gel like consistency and you only need to squeeze the bottle a little to let the product out. I need to squirt a small amount of shower gel on my hand to create a rich lather. The lather feels soft on the skin and the green tea and walnut shell particles exfoliates and massages my skin gently removing all the dead skin. 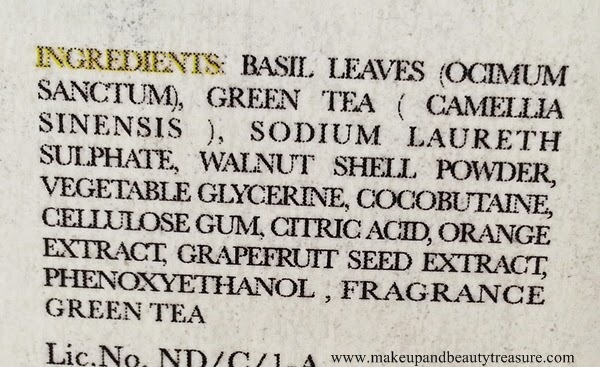 The green tea and walnut shell particles are mild and do not feel harsh on the skin. They give a good level of exfoliation. The shower gel gets rinsed away easily without leaving a greasy or sticky residue behind. My skin feels soft, smooth and thoroughly clean. It neither moisturizes my skin nor dries it out. I have normal body skin and I do not feel the immediate urge to moisturize my skin though I have the habit of applying body lotions anyway. My bathroom gets filled with the fresh aroma of green tea but the scent does not linger with me and fades away as soon as the shower gel is rinsed off. 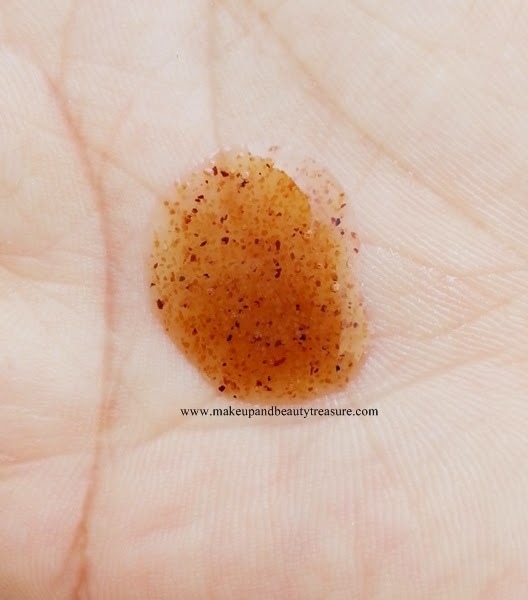 The shower gel exfoliates my skin really well and makes it feel soft and polished. Though it is meant for normal and oily skin but I feel it will work great on dry skin as well because it contains glycerin. The main ingredients in the shower gel are basil leaves, green tea, walnut shell powder and orange extract that are great in keeping skin clean, refreshed and polished. You get enough quantity for the price. The cap does not look travel friendly but it does not leak. • The green tea and walnut shell particles do not feel harsh on the skin. • Suits all skin types especially normal and oily skin. 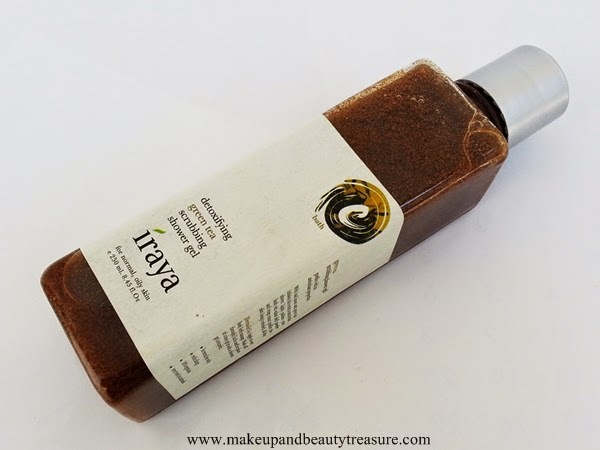 Iraya Detoxifying Green Tea Scrubbing Shower Gel is the best exfoliating shower gel for summers. 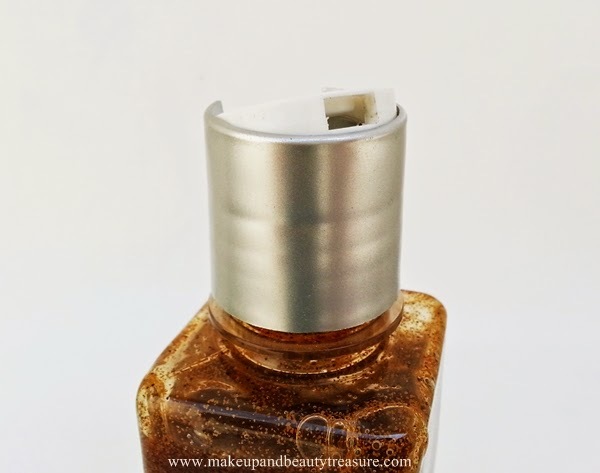 It not only polishes the skin but it makes it feel soft, smooth and refreshed. The green tea and walnut shell particles feel gentle on the skin. I am totally in love with this scrubbing shower gel and would HIGHLY recommend it to everyone! 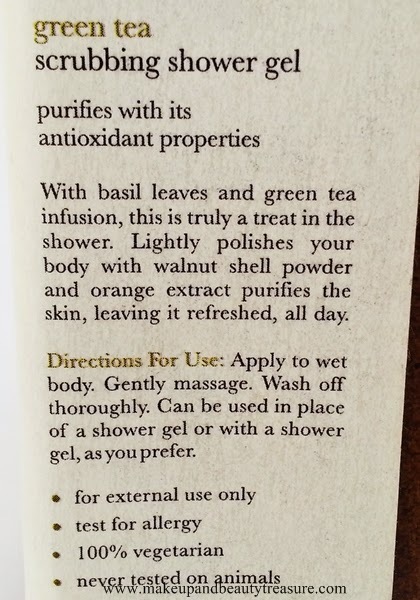 Have you tried Iraya Detoxifying Green Tea Scrubbing Shower Gel? How was your experience? Share in the comments section below!